WHENEVER I think of Negros Occidental, I hear Ella Fitzgerald singing that song so languorously in my head, with Louie Armstrong at the trumpet. The province once evoked a similar vibe and atmosphere as the colonial southern United States, except that sugar was the commodity that fueled the often rich and indulgent lifestyles of the hacienderos of old. The sugar crisis of the 1980s, which led to a virtual collapse of the industry, took away some of the wealth, but not the joie de vivre of its people. In fact, its famous fiesta, MassKara Festival, regularly held around the time of Bacolod City’s charter day (October 19), was created amid those horrendous years, to inspire the residents to get back on their feet and triumph against all odds. Reminiscent of the carnival in Rio de Janeiro, the MassKara Festival features street dancers in artistic displays of handcrafted masks and colorful costumes, beauty contests, food festivals, trade fairs and sports events. Aside from Bacolod’s MassKara Festival, the entire province whoops it up during the Panaad Festival—where all the cities and municipalities of the province gather at the Panaad Stadium in Bacolod City and showcase their wares. There will be a lot of drinking, dancing and eating during this weeklong festival, which will be held from April 8 to 14 this year. Of course, everything is still about sugar in Negros, and most of the sights will still remind you of its once-glorious sweet past. And then there’s the food—just gems of culinary flavors that make Negrense cuisine arguably the best in the Philippines. On the whole, the province has been able to preserve most of the vestiges of its past including heritage homes and the facades of old churches. 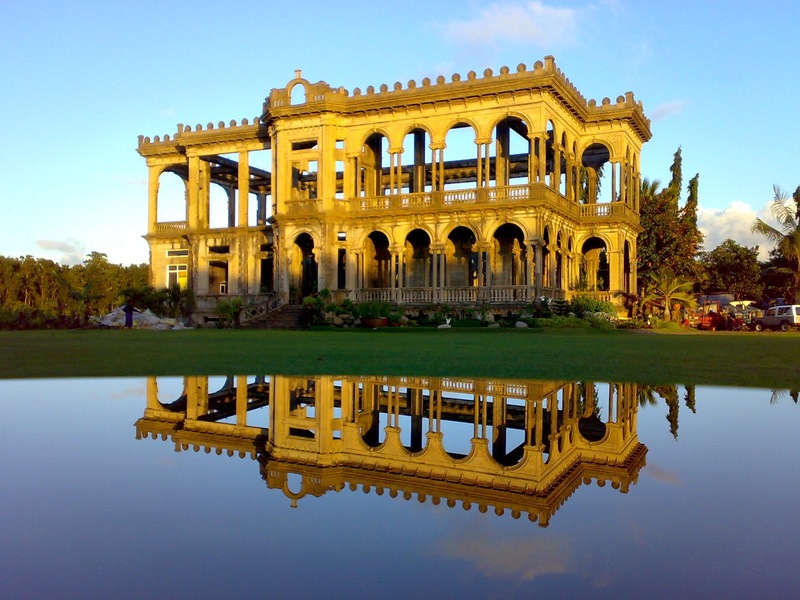 Known as “Paris of Negros,” Silay City is a treasure trove of well-preserved ancestral homes. Balay Negrense (Cinco de Noviembre Street, Silay City), which was built by sugar baron Victor Gaston, is a typical bahay na bato (stone house) It has since been turned into a museum and furnished with authentic period furniture from the 19th century. In Bago City, there is also the ancestral home of Gen. Juan Anacleto Araneta who led a revolt of locals versus the Spaniards. The house has also been turned into a museum and a repository of the family’s memorabilia and furniture. Most of the centuries-old churches in Negros Occidental may be intact but most their interiors had been restored with a modern touch. Still, worth a look-see are the San Sebastian Cathedral in the provincial capital Bacolod City (constructed in 1876), the Saint Mary Magdalene in Hinigaran (1881) and Our Lady of the Guadalupe (1851) in Valladolid. While not heritage churches, the Church of Cartwheels in Hacienda Rosalia, Manapla, is uniquely designed using farm tools and implements, while the Church of the Angry Christ in Victorias features the mural of an angry Christ by local artist Alfonso Ossorio who wanted to portray Judgment Day. Chow it down. Aside from the chicken inasal or barbecue chicken (Aida’s, Manokan Country, SM City reclamation area), Negros Occidental is also popular for its seafood (served grilled at Aboy’s, Golden Field Commercial Complex, Bacolod City); kansi, slow-boiled tender beef shanks in broth soured with batuan, a local fruit (Sharyn’s Cansi House, C-58 Narra Avenue, Capitol Shopping Center, Bacolod City); and lumpiang ubod, a spring roll with heart of palm filling (El Ideal Bakery and Refreshment, 118 Rizal Street, Silay City). For fresh diwal or Angel Wing’s Clams, drive out to Valladolid where vendors have set up stalls along the national highway; piaya, barquillos and barquiron from Sugarlandia (Yulo-Lizares Street, Bacolod City); and sweet treats like napoleones and half-moon from Pendy’s (25th and Lacson Street, Bacolod City), cakes and pastries from Felicia’s Cafe (6th Lacson Street, DOLL Building, Bacolod City). The best of Negros cooking is really whipped up in the kitchens of the old families of the province. Many of these families have handed down their recipes through generations and keep these as closely-guarded secrets. So if you ever find yourself invited to the home of local residents, do not pass up the opportunity! 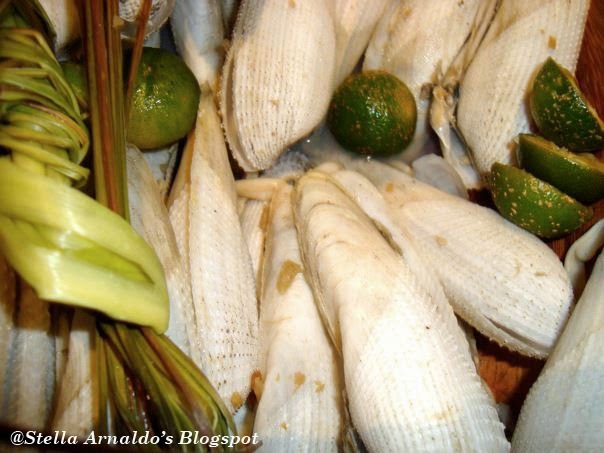 The succulent Diwal (Angel Wing Clam) is just one of the tasty seafood available in Negros Occidental. Swing it! Negros Occidental hosts three world-class golf courses—Bacolod Golf and Country Club (Alcabaza Street, Bacolod City), Victorias Golf and Country Club (Vicmico, Victorias) and Negros Golf and Country Club (Bata Subdivision, Bacolod City). Except for Victorias, which has an open policy, the other two are private golf courses and thus, you need to be accompanied by a member to be able to play as a guest there. Environmental check. Ecotourists will want to visit the Danjugan Island Marine Sanctuary in Cauayan (http://prrcf.org/danjugan-sanctuary) run by the Philippine Reef and Rainforest Conservation Foundation Inc. for snorkeling, kayaking and other marine activities, or the Mount Kanlaon Natural Park for hiking and mountain climbing. Hiking permits must first be secured from the park management at the Department of Environment and Natural Resources office (Cascuela Building, Gatuslao Street, Bacolod City T# 034-7085-637). Bacolod City is the most convenient area as a base even while traveling throughout Negros Occcidental. But one must not expect four- or five-star accommodations. At best, most hotels approximate three-star accommodations but guests are rewarded with the most accommodating staff and the friendliest of smiles, after all, Bacolod is the City of Smiles. Getting there: All major carriers fly to Bacolod City daily. Getting around: Either drive yourself or hire a private car and driver. Check out Nyala Tours (http://www.nyalatoursbacolod.com) or MECA-J Rent A Car, 034-433-6948 or 0918-9282-560.